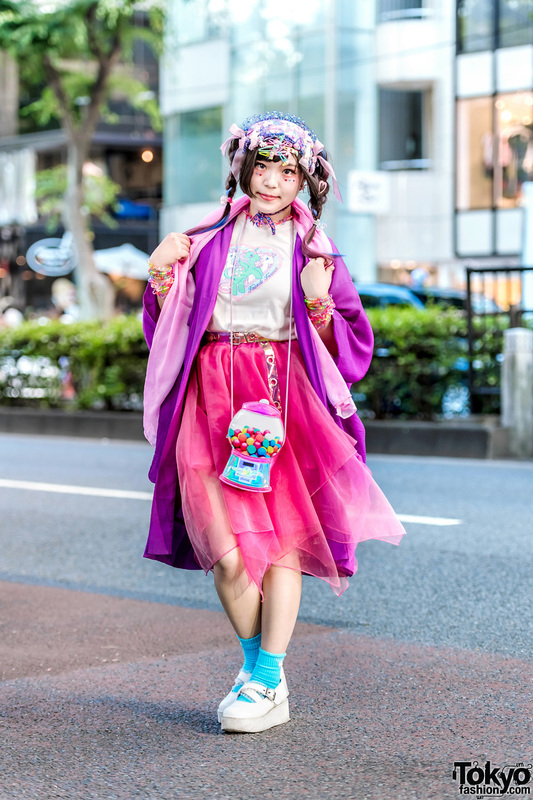 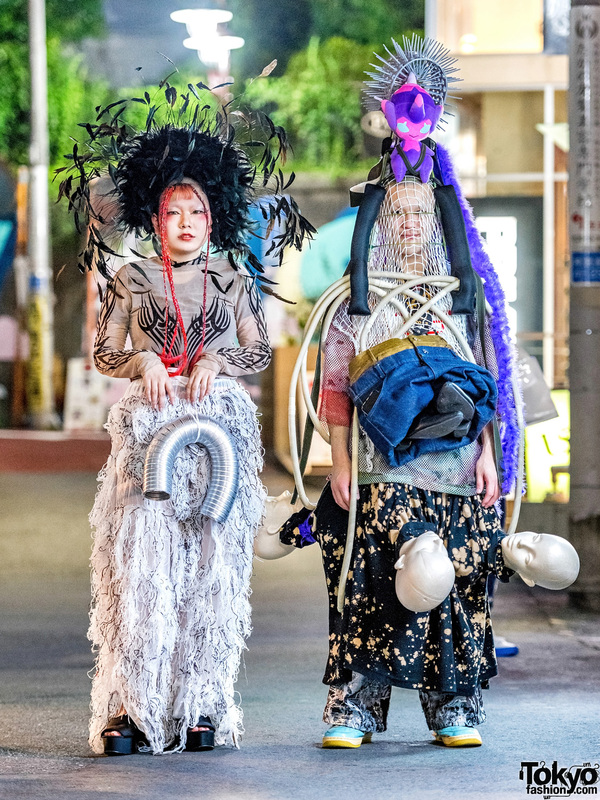 Harajuku duo showcasing impressive avant-garde streetwear looks while out and about on the street one evening. 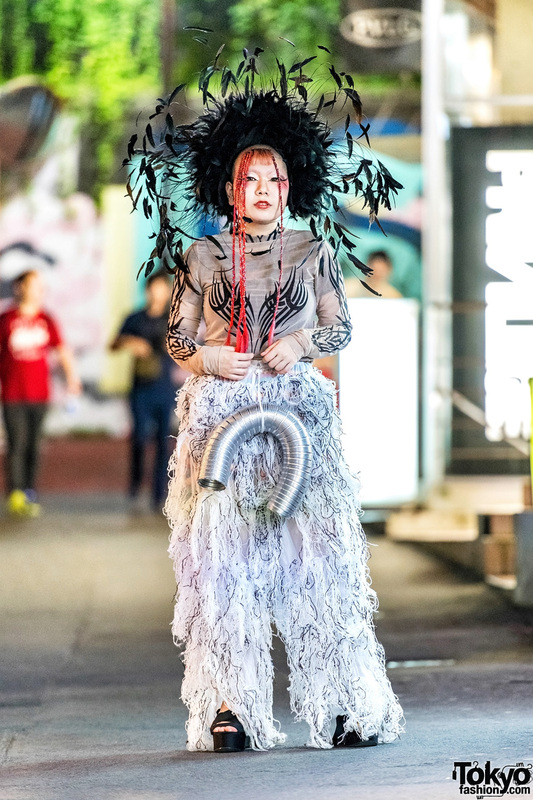 Japanese student showcasing an avant-garde fashion style w/ a black feathered headdress while out on the Harajuku street one evening. 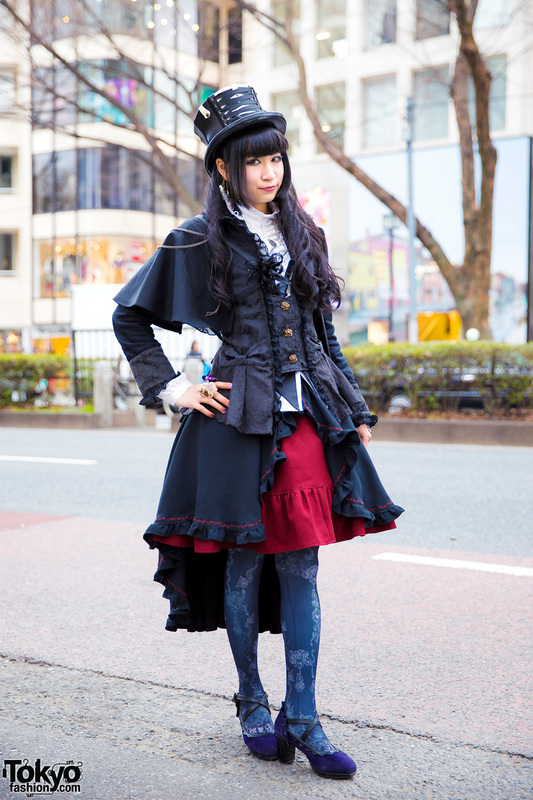 Fashion creator, Ruruchan, on the Harajuku street sporting a steampunk-inspired style while out and about.